Drawn from NOMA's permanent collection, this installation addresses shades of oppression, racism, and superficial cultural understanding layered in 19th-century Orientalist paintings, photographs, and decorative arts. 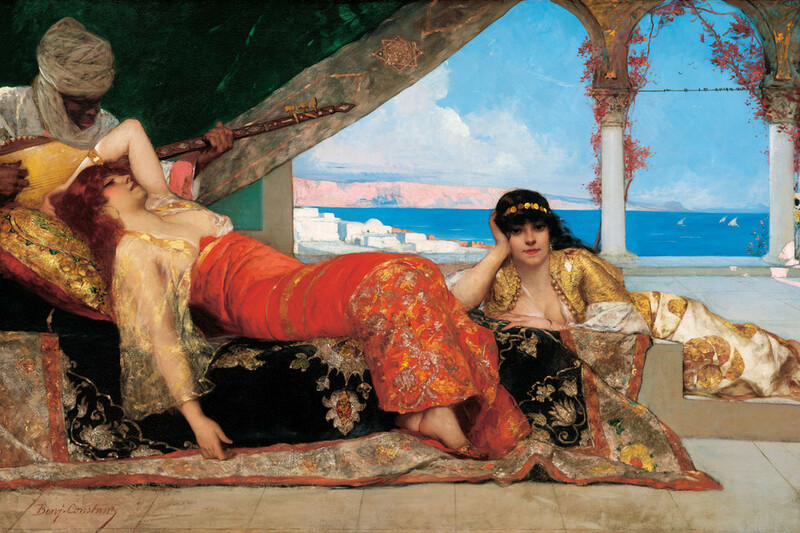 “Orientalism” describes the widespread popularity of European and American artists taking inspiration from art and people—both real and imagined—of Middle Eastern, North African, and East Asian cultures. A new installation drawn from NOMA’s permanent collection celebrates the beauty of nineteenth-century Orientalist artwork, but it also highlights undercurrents of oppression, racism, and superficial cultural understanding layered in these paintings, photographs, and decorative arts. Until the 1800s, European contact with Eastern cultures was through limited trade and occasional military conflict. This changed rapidly in the nineteenth century, when worldwide transportation increased, Napoleon Bonaparte’s French army occupied Egypt, American Commodore Perry forced an end to Japan’s isolationism, and the British Empire controlled 400 million people worldwide. Western fashions like “Egyptomania,” “Orientalism,” and “Japonisme” are partly rooted in imperial practice. 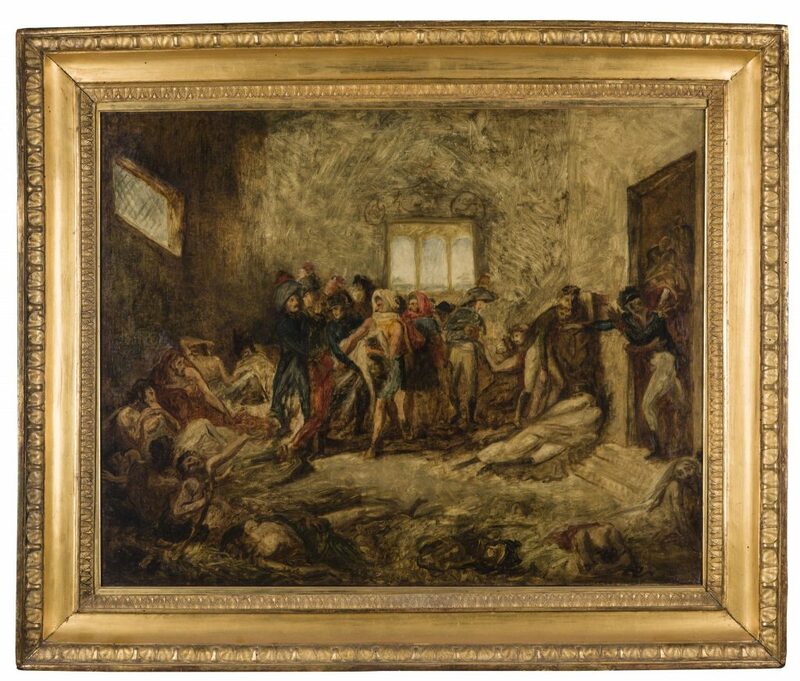 On view in NOMA’s Hyams Gallery, Antoin-Jean Gros’ study sketch for The Pest House at Jaffa shows Napoleon Bonaparte visiting plague-stricken French soldiers in Syria. Gros’ sketch shows Syria’s Islamic architecture, but it was also propaganda in favor of French imperialism. Napoleon is depicted as a brave leader impervious to disease. 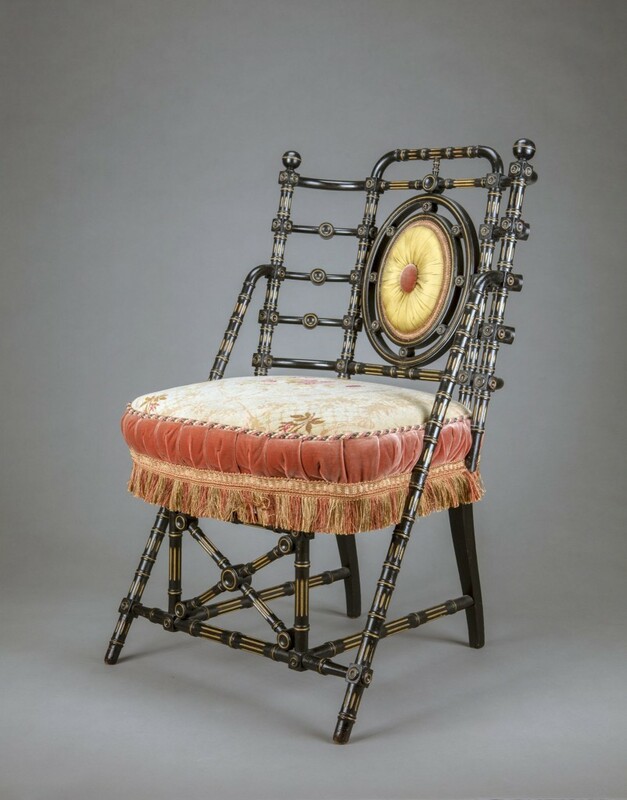 Objects like NOMA’s Hunzinger side chair are part of the 1870s mania for the Japanese aesthetic in American interiors. In a choice that was more about fashion than cultural understanding, Western furniture was “ebonized” black to imitate fine Asian lacquer furniture. 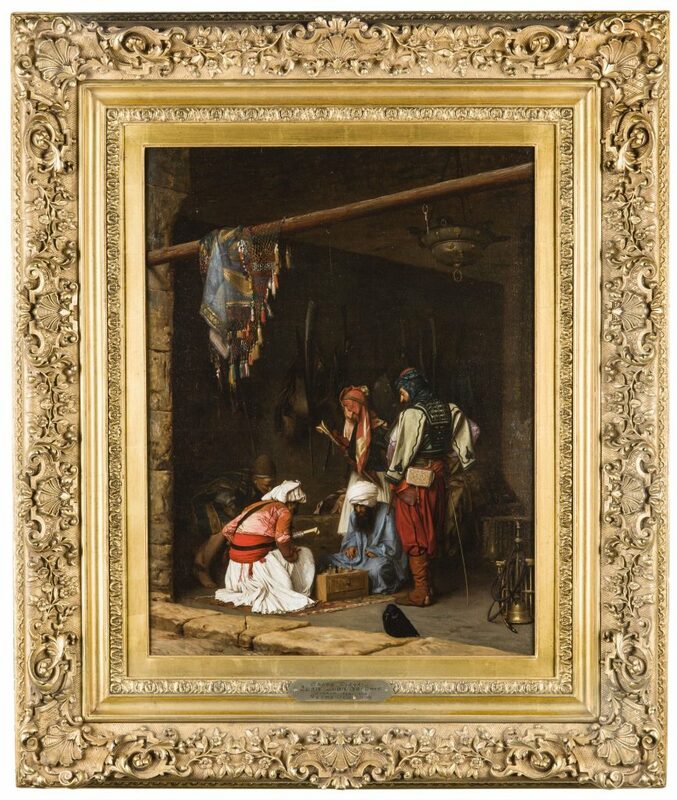 This installation includes spectacular scenes of snake charmers and Bedouin horsemen by Jean-Léon Gérôme and Adolf Schreyer. These artists worked with good intentions, traveling with a genuine desire to accurately record and faithfully disseminate architecture, geography, fashion, and customs. But what they recorded was often seen through a lens conditioned by Western values and ambitions. As a result, their work often presented non-Westerners in negative ways—as lazy, barbaric, or hyper-sexualized. 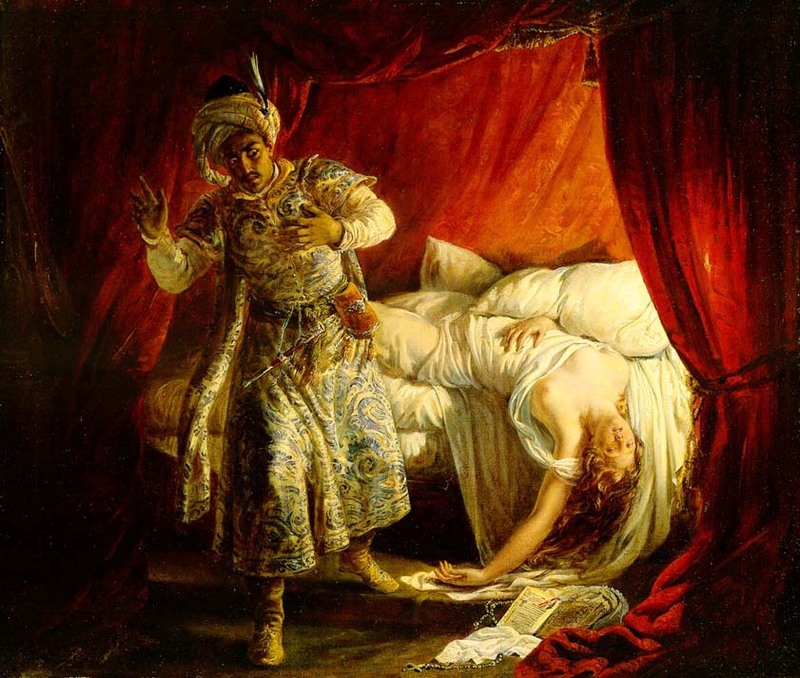 Much Orientalist artwork was insensitive and factually incorrect, but its romanticism was powerful and effective in the West because it was both titillating and aesthetically alluring. 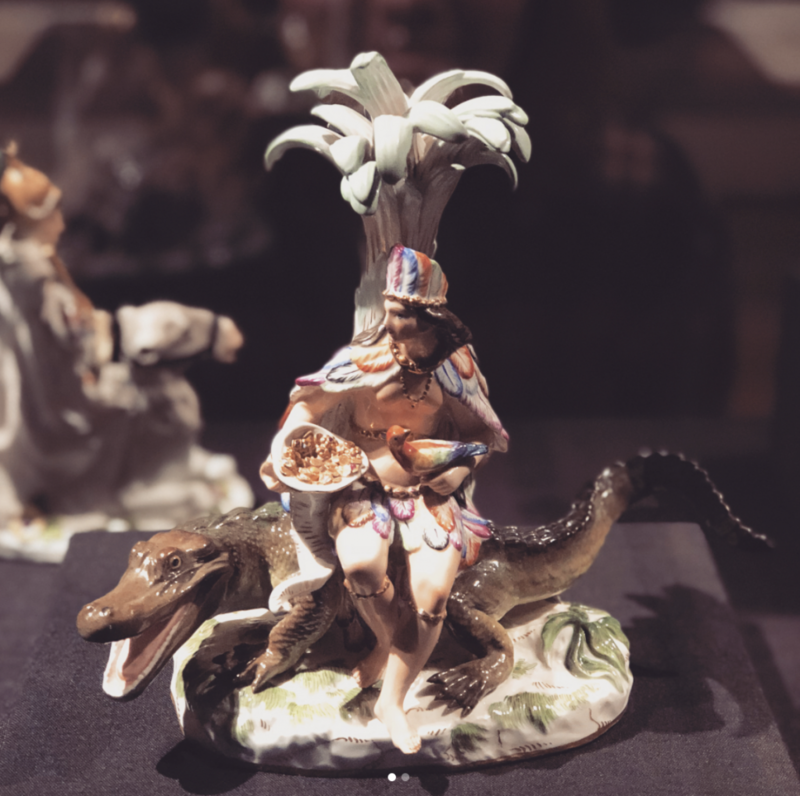 Academically, this material on view gives us complicated and conflicted material to consider our own history, but also how “exoticism” continues to color the ways in which we view other cultures today.